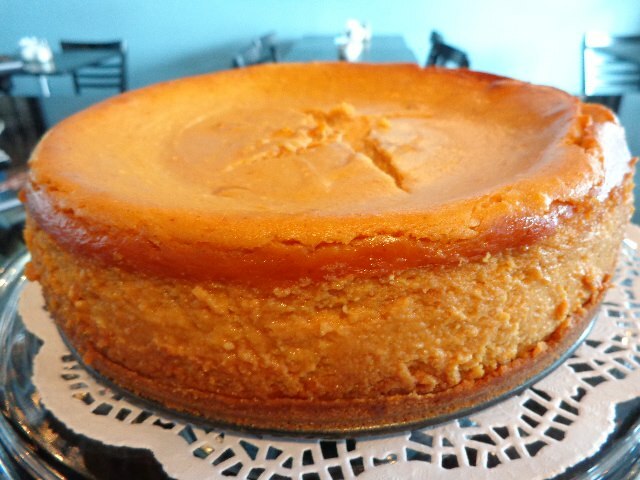 It’s our homemade PUMPKIN CHEESECAKE. Come on in and get a slice to enjoy with a hot cappuccino. Soup of the day is Tomato and Basil.